Good news to all student assistants! Starting January 2014, student assistants may get their salaries within one (1) month upon submission of DTR if they have their own Landbank accounts. Student assistants must open their own personal Landbank accounts at the UPLB branch. The account must have a maintaining balance of P500. Use of a Landbank account is optional. Student assistants may still opt to receive their salaries through the Cashier's Office. SAs who will enroll their Landbank accounts for the SA payroll will receive their salaries earlier than students without Landbank accounts. Payroll processing for students with bank accounts is faster because certain government cash advance and disbursement policies are circumvented. UPDATE AS OF 01/30/2014: Student assistants with Landbank ATM as payment option will get their salaries for DTRs filed January 2014 on February 3, 2014 (Monday). In the regular process, there is a backlog in the release of salaries because some students are not claiming their salaries on time. OSA has constantly reminded these students to seemingly no avail. However, with SAs having their own Landbank accounts, the salaries will be deposited to their bank accounts through fund transfer and SAs need not wait for other SAs to claim their salaries. 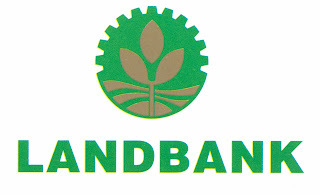 Only Landbank accounts may be used. The account holder of the Landbank account must be the student assistant himself/herself. Parents, relatives, guardians, supervisors, friends, and even very close friends cannot be the account holders. The student must maintain an account balance of at least P500. The Landbank account number must be provided by the student in the OSAM System before generating the DTR. We encourage student assistants to get their own Landbank accounts to maximize the benefits of student assistantship. Aside from faster processing of SA salaries, Landbank ATM cards can also be used for cashless purchases (Express Payment System aka EPS) in department stores and supermarkets such as Save More, Robinson's Department Store, Robinson's Supermarket, and SM Department Store. Most stores that accept credit cards also accept EPS as a mode of payment. The ATM cards can also be used for online fund transfers and bills payment. Landbank is open from Mondays to Fridays from 8:30 AM to 3:00 PM.